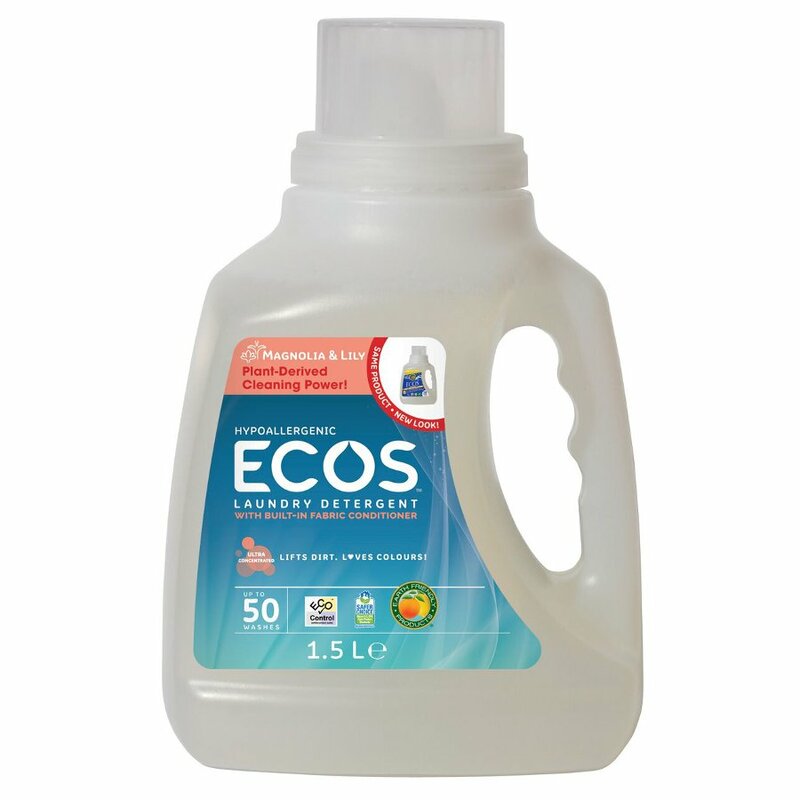 This wonderful eco-friendly laundry liquid from Earth Friendly contains cellulose based optical brighteners, soy based fabric softener and essential oils with no harsh anti-bacterial ingredients. 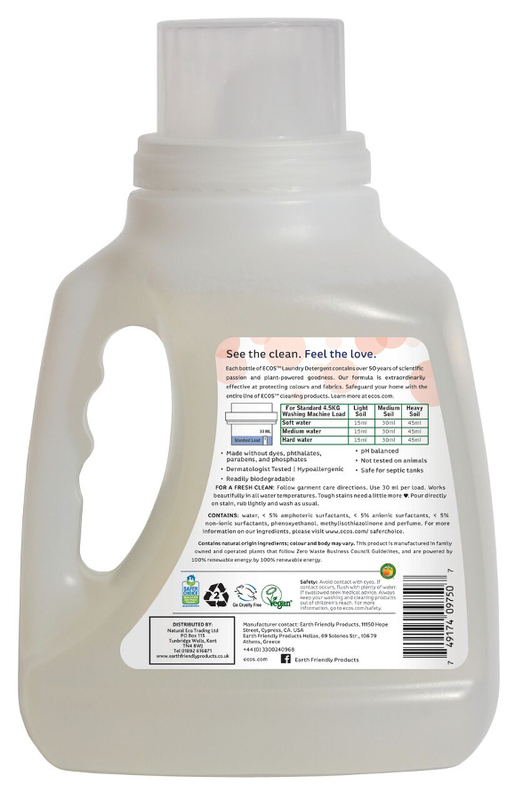 The gorgeous aromas of the essential oils leave clothing with a fresh magnolia and lily scent and the plant based extracts mean that it is kind to skin. 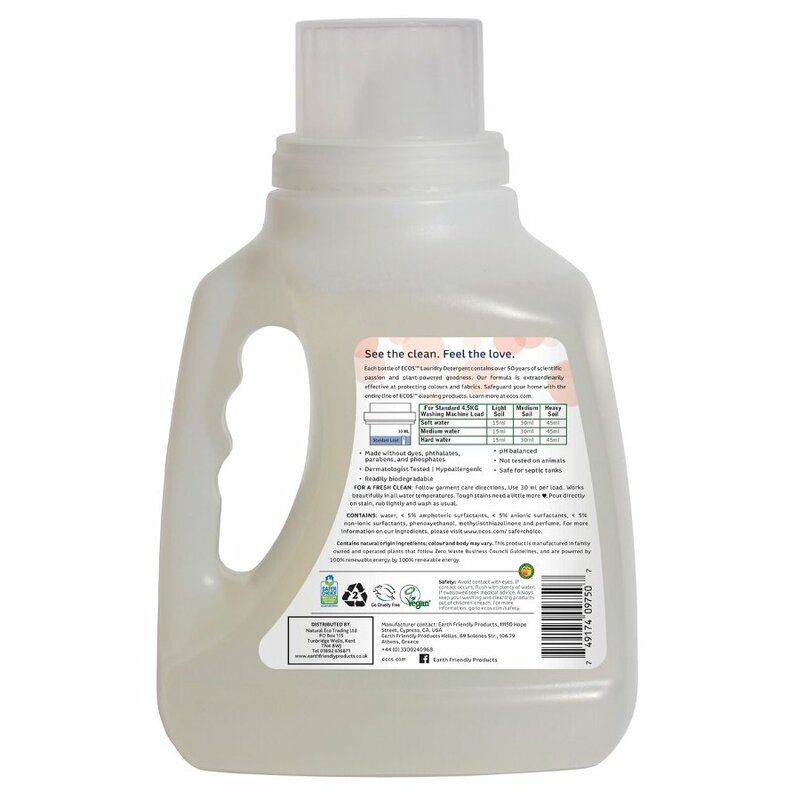 water, < 5% amphoteric surfactants, < 5% anionic surfactants, < 5% non-ionic surfactants, phenoxyethanol, methylisothiazolinone and perfume. 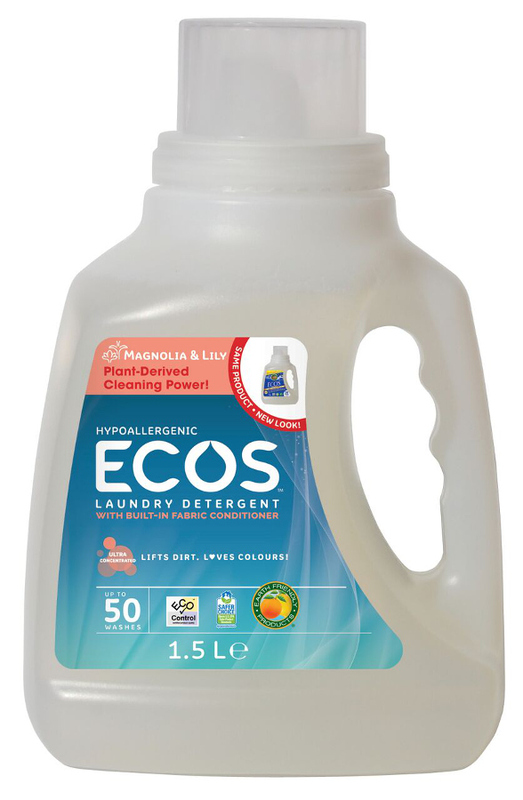 There are currently no questions to display about ECOS Laundry Liquid - Magnolia & Lily - 1.5L - 50 Washes.